Even though it's Friday, I have an important meeting today, so I wanted to look extra professional. A sheath dress is always the perfect work outfit, no matter the day. 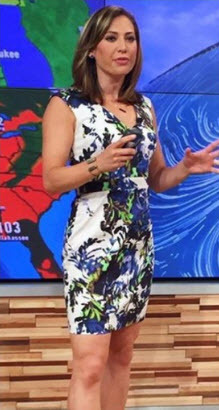 Ginger Zee wore the dress on Good Morning America. Photo courtesy of ShopYourTV.com. I also really love the maxi dress version if that's more your style.